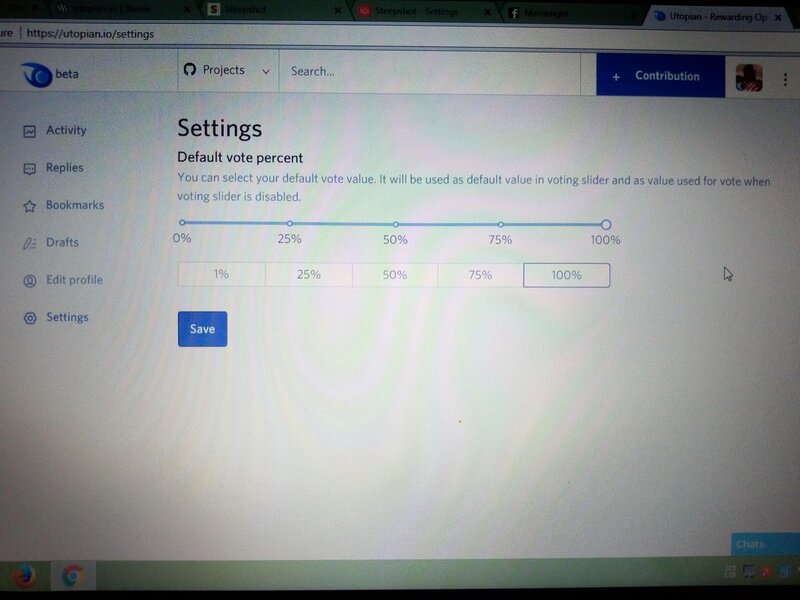 Recently I was going through the website and I discovered that users cannot set a percentage for the vote that wants to be allocated to other users, You just click on the love button which automatically gives 100% vote. I am suggesting steepshot.io add a voting slider to their website in order to allow users award vote percentage of their choice and also it would help reduce the usage of their voting power, Because voting all the time with your high percentage without watching it well might affect one's voting power and you will need to wait for a period of time for the power go back to the normal percentage which is 100%, Below is a screenshot of the area where I want the voting slider to be placed. When this option is implemented users would be able to set the voting percentage at a particular percent of their choice and they can easily change it at any time. A quick look at the utopian.io site we will see that it also have the option for the voting slider this is to notify the admins of steepshot on the importance of the slider. The screenshot below shows the voting slider on the utopian website. 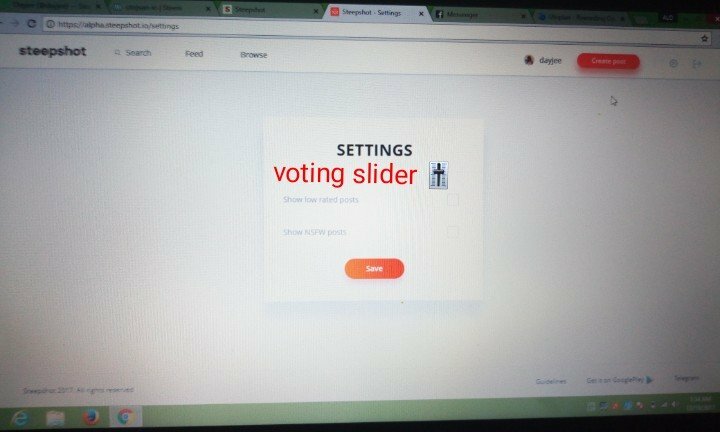 The voting slider is a very important option or feature in websites like this and it will be great if steepshot can also consider implementing this feature, This is my little contribution for the steepshot website I hope it will be considered.